With such a wide variety of filtration methods to choose from, saltwater aquarium filter selection can be mind-boggling. If your tank is already equipped with a built-in filtration system (ex., Eclipse, SeaClear and Perfecto Biowheel Ensemble), your problem is solved, unless you want to modify or add on to it. So, how do you pick one? Let's start with the basics. There are 3 basic types of filtration in saltwater (or freshwater, for that matter) aquariums, all of which play a part in or enhance the Biological/Nitrogen Cycling Process:, which is every aquarium's primary filter. They are Biological (B), Mechanical (M) and Chemical (C). Some filters are capable of performing more than one task. 2) Mechanical filters, which physically remove both dissolved and particulate material from the aquarium water column. 3) Chemical filters which remove toxins through chemical reaction or adsorption. Mangrove Plants (NNR - Natural Nitrate Reduction method) are truly amazing. 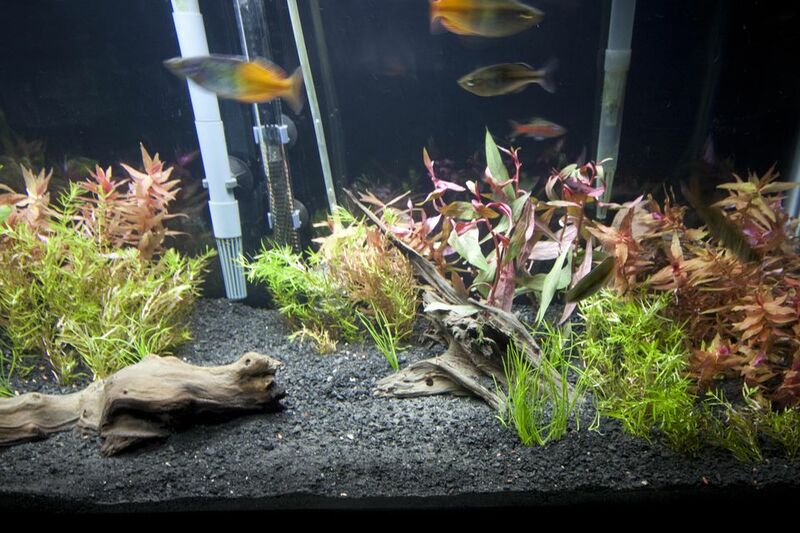 These plants strain freshwater out of saltwater and filter out toxins such as nitrates and phosphates. There are a number of well-designed multi-functional canister filters on the market today that may fulfill your needs. For more insight on the many ways filtration systems are utilized, browse the Tank Photo Resources. These are links to personal saltwater Web sites where aquarists' provide all kinds of detailed information about their aquariums, including their filtration set ups.